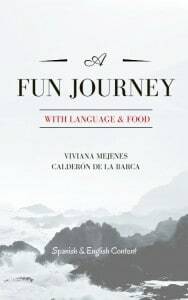 A Fun Journey With Language and Food by Viviana Mejenes Calderón de la Barca, has lots of quirky and interesting facts about food, and animals, and plants, and cultures. The texts will go down well performed to an audience. 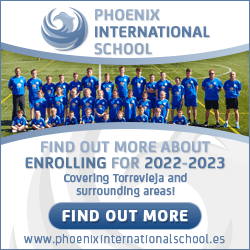 The publication’s great strength, as I see it, is that it’s full of lively, interesting and idiomatic Spanish, which makes it a good text for learning the language. — Prof. Derek Rogers, Rational Language Learning, UK. command of both Spanish and English to follow it. A great idea and an education for anyone interested in food. — Joanna Styles, copywriter and content creator. 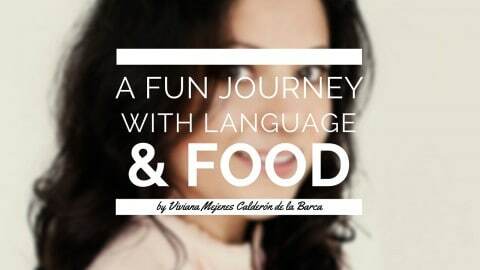 A Fun Journey with Language and Food is a compilation of easy to read and follow stories, part in English and Spanish, of the author’s gastronomic journey throughout the intrinsic relationship of language and food. — a delicious learning experience through a fun compilation of stories that will take you to many sorts of places linguistically with food!